I named these energy bars “Glowing Skin Energy Bars” because they’re full of superfoods that promote both a smooth, youthful complexion and boundless, sustainable energy! I originally came up with this recipe because I needed a quick, easily digestible source of energy before my early morning hot yoga classes (while most people are better off not eating anything prior to morning yoga, I don’t do well on a completely empty stomach and get light headed if I don’t eat something prior). The only problem with these bars? It’s so hard to eat just one!! 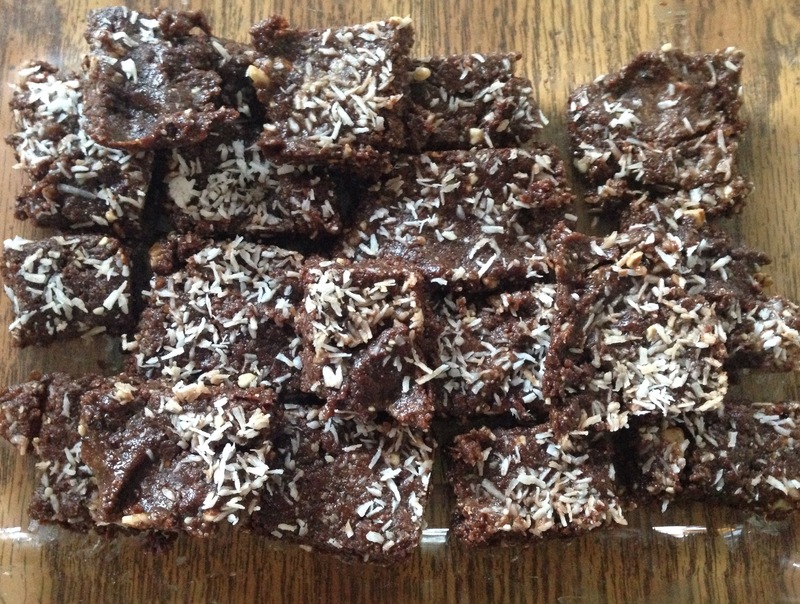 I used my Vitamix to make these bars, but you could also use a food processor, a Blend Tec, or another high speed blender that can handle dates and nuts. 1) Place the cashews, coconut oil, and almonds into your Vitamix/food processor and process till they’re well ground, forming a nut butter. 2) Add the dates, cacao powder, and cinnamon, and process until the mixture starts to clump together. 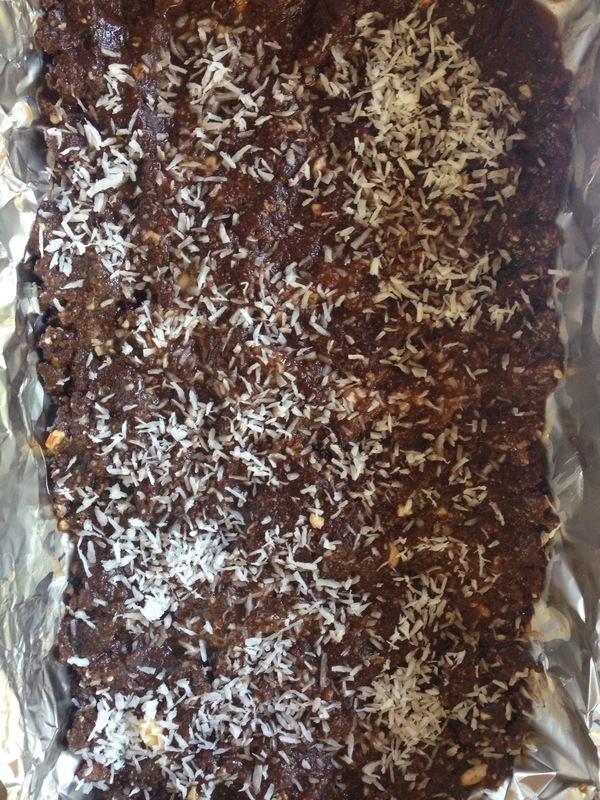 3) Add cacao nibs, hemp seeds, Moso Bamboo Extract, and coconut flakes to food processor and combine until smooth. 4) Line an 8 X 12 (or whatever you have ) baking dish with tin foil. Next, empty the “dough” from your Vitamix/processor on to the foil and press it down firmly (I recommend using your fingers to do this!). Refrigerate for about thirty minutes or more. If you want your bars to have a harder, crunchier consistency, pop them in the freezer for 15 minutes and then put them in the fridge for 20 minutes before slicing them into “bar shapes” and eating. 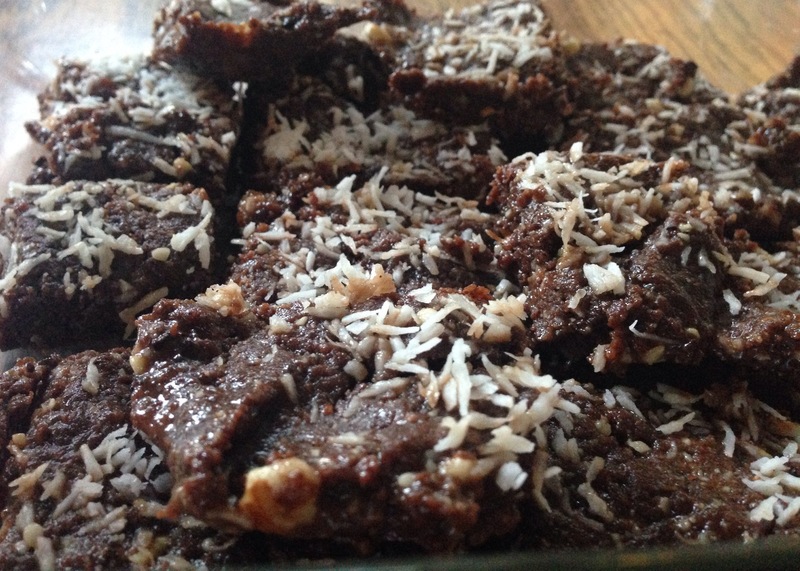 Optional: top with coconut flakes! I did this because I love coconut flakes! Recipe makes 10-12 bars, depending on how large you slice them! I hope that you enjoy this recipe! Let me know if you make these bars and how they turn out! These bars are now my go to “pre-workout” snack for not only hot yoga, but also running, and I love that they fuel my muscles with pure, unprocessed nutrition. What’s your favorite pre-workout snack? Share in the comments below!